Located midway between Melbourne and the Mornington Peninsula, Frankston is a beachside city that has more to offer than its outdated reputation might suggest. Plentiful in the way of schools, shops, restaurants and entertainment, Frankston has come a long way from the stereotyped outer suburb it once was. Residents of Frankston enjoy a range of community clubs and classes provided by the Frankston City Council through several community neighbourhood centres. Members of the community are invited to partake in public gardens, music and arts programs, support groups and social clubs – just to name a few. Bayside Shopping Centre located in central Frankston is the main shopping hub in the area – and after almost doubling in size a few years ago it includes all the favourite big name stores, and now rivals the Westfield Shopping Centre chain. Surrounding streets feature many unique one-off boutiques – so you can leave the car in one of the ample car parks and continue exploring the shops and cafés down Shannon Avenue and Wells Street. Cross onto the other side of Wells Street and you’ll find yourself at Frankston’s entertainment complex, which features a Hoyts cinema, a Strike Bar and Bowling venue and a range of Italian, Japanese and Modern Australian restaurants to choose from – all with underground parking. Walk a little further down Wells Street and you’ll find yourself on Nepean Highway for a great selection of Greek, Thai and Indian restaurants (we have a few great suggestions here). Venture another 100 metres or so and you’ll reach the corner of Nepean and Daveys Street – the central hotspot for nightlife in Frankston. On one corner you have the Grand Hotel, which has more of a sports bar kind of vibe. Another corner over you have Flanagan’s Irish Bar, an old favourite for locals, and Pier Live, one of the best live music venues in the south eastern suburbs. The next corner will find you at Daveys Bar and Restaurant – popular with the early 20s crowd but also a great place to go for a meal and bay views. The venue on the last corner, The Deck Wine and Tapas Bar, is a newcomer to Frankston and is quickly becoming a favourite among residents. 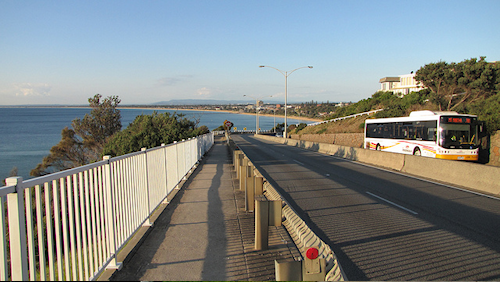 Travel a little further down Nepean Highway and you’ll find yourself at Frankston foreshore, which has for several years running been crowned “Victoria’s Cleanest Beach”. Home to 10 kilometres of pristine beach and coastal habitat, the foreshore also features a great children’s playground and three beachside restaurants with stunning views. A great place for young families, Frankston is home to several kindergartens and preschools as well as a large number primary and high schools – both public and private – including Frankston High School, which offers overseas exchange opportunities, surf life saving courses and a highly regarded music program. In terms of higher education, Frankston is home to a Chisholm TAFE and a Monash University campus. Still not convinced? 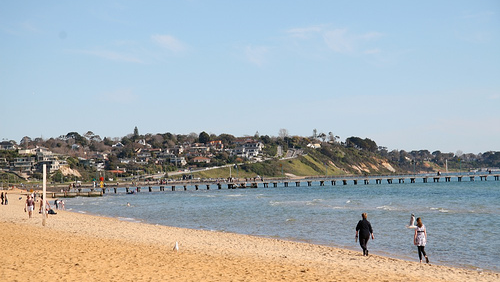 Cate Bakos, our buyers advocate, has five other reasons Frankston is worth a closer look. After a glowing review of Frankston in last weeks property investment seminar in Melbourne, can you please advise me if there are any no go zones when looking to purchases an investment property?